The exterior, by the acclaimed Espen Oeino, was designed for first-rate entertainment with the luxury of privacy. The smooth connections between decks via generous stairs, which frame the upper deck seating island and central outdoor fireplace, combined with the walk-around layout, inspire both sunny and moonlit strolls. While basking in the ocean and coastal views take a splash in the 12-meter mosaic pool or jacuzzi on the upper foredeck, or use this location and the additional observation deck, connected by a nearby winding staircase, for a coveted photo opportunity on your KISMET yacht charter. Continue the fun with a pickup game of basketball on the foredeck court or chill with a glass of wine on the expansive outdoor lounge area, both of which are easily converted to helipads. Lastly, finish the night on the vast aft deck by enjoying the large sports bar or transforming the area into a nightclub – the choice is yours. Stepping inside, a four-deck atrium with a central glass lift is the centerpiece of the contemporary interior by Laura Sessa. The owner’s suite, draped in golds and blacks and intricate marbles, boasts his and hers bathrooms with a private jacuzzi, generous wardrobes, private helipad access, and an office space. Additional accommodation is found in the six remaining staterooms, including two VIP suites, where the lavish style ranges from Japanese design to Art Deco flair. A KISMET yacht charter offers three full lounging and dining areas, including formal dining for 18 guests; a decadently luxurious full-service spa; two retractable sea terraces that open from the lobby and gym spaces; a vastly spacious double-height main saloon; and a cozily intimate cinema room. Enjoy a summer Mediterranean luxury yacht charter or a winter private yacht charter in the Caribbean. 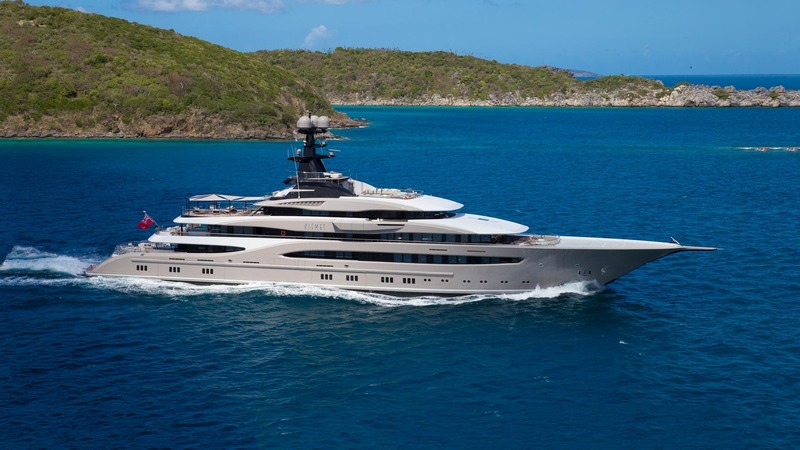 Whichever you choose, you are sure to have a truly incredible vacation on board one of the world’s finest superyachts. Enquire below to speak to start planning your KISMET yacht charter, or browse our other luxury yachts for charter.